As we grow up in the singing community, we often get divided up into different voice types. Doing this can be helpful in that it gives us guidance as to what parts to sing in an ensemble, as well as what parts we generally should try out for, but there can also be a downside to voice parts. If we’re not careful, we can create an identity around a voice part, leading us to take on an unnecessary belief that could limit our idea of what range we should be singing. So before I go into more detail about voice types, I want to stress that just because you sing a particular voice part does not mean that you have to or even should limit yourself to that range. 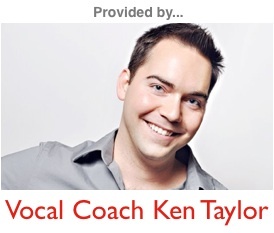 I hear far too many singers say, “I can’t hit that notes, I’m a <insert voice part here>.” Well, why limit yourself? Choose the voice part that fits you best, but give yourself the freedom to sing outside of those guidelines and you’ll find yourself to be a more complete, well rounded singer. There is no arguing the order to which these voice types fall. In any music circle you will always find that the soprano is on top and the Mezzo-soprano is lower, however, the importance of this distinction is based on the way the voice part is being used. Below are a few very different ways voice parts can be described. 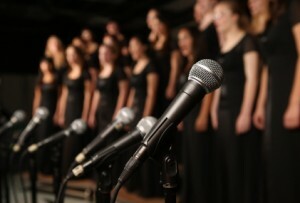 In high school choirs, voice parts are used as the backbone to placement. Since choirs in general rely on the different voice parts to blend and create even harmonies, an equal number of each voice part is greatly preferred. In high school choirs, however, voice parts are almost always solely based on the notes you can or cannot hit. Sopranos will sing the top line and therefore must be able to hit the highest notes. Mezzo-Sopranos, which in choirs are usually referred to as Second Sopranos/First Alto (soprano 2/alto 1), often have the middle line and so on. If we’re talking about typical high school choirs or church choirs, sopranos and tenors can expect to sing from a C to an F or G, and altos and basses can expect to sing from a G to an E. However, there certainly are pieces that go higher and lower… this is just a general rule. 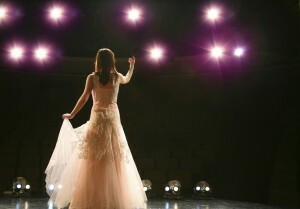 Completely unlike choir settings, a single musical theatre or opera performer’s voice part has little reflection of others around them. In fact, while range does play some importance, a performer should not even judge their voice part entirely on the notes they can or cannot hit, but also on the timbre of their voice. To point you in the right direction when choosing characters to play or audition songs to sing. To act as a guideline on what you should sing in ensemble harmonies. Now it is worth mentioning that in Opera there are more specific voice parts such as Coloratura Sopranos and Dramatic Sopranos and so on. But odds are, if you’re studying operatic singing, you already know where you fall in this spectrum, so I won’t go into more details on it here. This should help to give you a general idea as to where you fall voice part wise. If you’d like more free advice on singing, you can “Like” our Singing Tips Community Page on Facebook.